The innovative Wärtsilä autodocking technology tests were carried out with the ‘Folgefonn’ ferry owned by Norled. The technology group Wärtsilä has successfully carried out testing of its innovative autodocking technology. 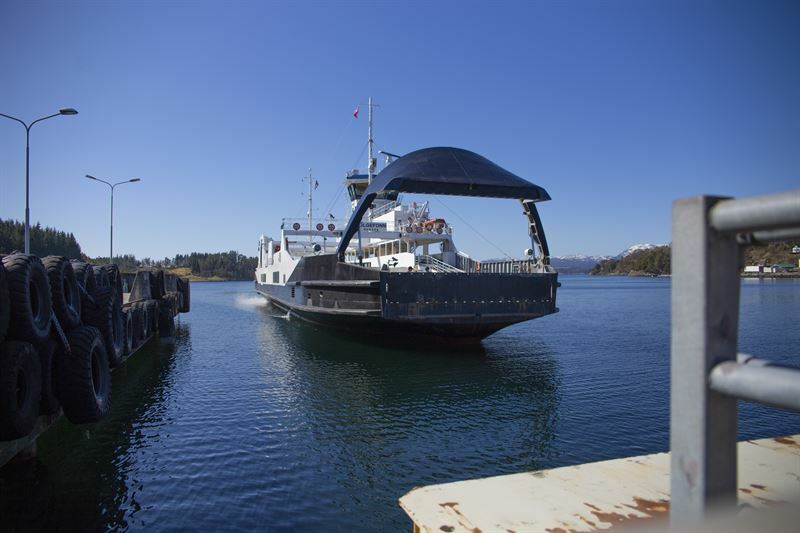 The tests were carried out with the ‘Folgefonn’, an 83-metre long ferry owned by leading Norwegian operator Norled. The vessel has hybrid propulsion and is already fitted with a Wärtsilä wireless charging system. The installation of autodocking on a ferry is a world first. The autodocking tests took place commencing in January of this year and were completed in April with actual harbour docking trials. At no time during the tests did the captain need to take manual control. The procedure means that the system is activated some 2000 metres from the berth and the vessel continues at normal transit speed. The system then performs a gradual slowing of speed, and activates the line-up and docking manoeuvre fully automatically until the ship is secured at the berth. When the ship is ready to sail again, the system may be used for the departure procedure in an identical but reverse manner. Wärtsilä’s autodocking technology delivers notable benefits to operators. These include improved safety since there is less likelihood of human error; less wear and tear since the thrusters are efficiently utilised; and greater efficiency in docking which allows more time at berth. Norled has made the ‘Folgefonn’ available to Wärtsilä for further development of a number of Wärtsilä Smart Marine products and systems. Among the Wärtsilä technologies already installed and tested are its energy optimisation system, the hybrid propulsion system, wireless inductive battery charging, and energy storage. The ferry can now be operated with automatic wireless charging, automatic vacuum mooring and automated docking. “We thank Norled for their valued cooperation in this project. These tests represent an important element within Wärtsilä’s overall smart marine vision. Autodocking can become a vital part of our offering to the ferry and other shipping markets, and will further promote our activities in leading the transformation into a new era of high efficiency and profitability for our customers,” says Roger Holm, President, Wärtsilä Marine Solutions. “We are pleased to support Wärtsilä’s efforts for creating greater efficiencies for marine operators. Technologies that improve safety, reduce operating costs, and lower the environmental impact can only be good for our industry,” says Sigvald Breivik, Technical director, Norled. In 2017, the same Wärtsilä team successfully tested remote controlling of a ship sailing in the North Sea from its San Diego, California location. Developing intelligent vessels is central to Wärtsilä’s smart marine ecosystem vision. Image caption: The innovative Wärtsilä autodocking technology tests were carried out with the ‘Folgefonn’ ferry owned by Norled.